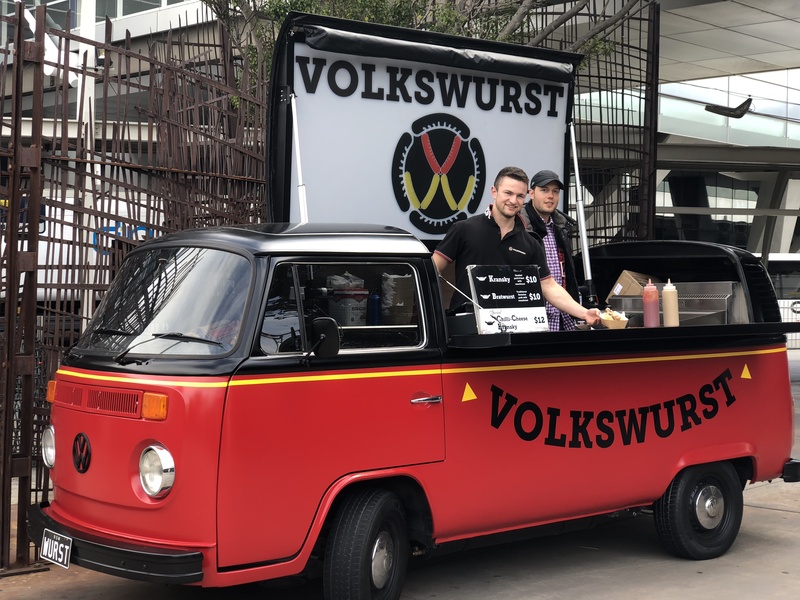 Sydney’s food truck movement is continuing to build momentum – and we’ve secured a limited time pop-up with the crew from Volkswurst who will be serving up authentic German sausages for the next fortnight. Located at our T1 International Arrivals forecourt, the hard-to-miss VW Kombi is set to be a popular lunch spot with smoked pork and beef kranskies and traditional Bavarian pork bratwurst on show A special chilli-cheese kransky is also worthy of a mention, all served with healthy lashings of sauerkraut. Get in quick before the Kombi moves on! Available until 7 October.